With artistry and imagination, genuine uncirculated coins become gleaming, dimensional jewelry. 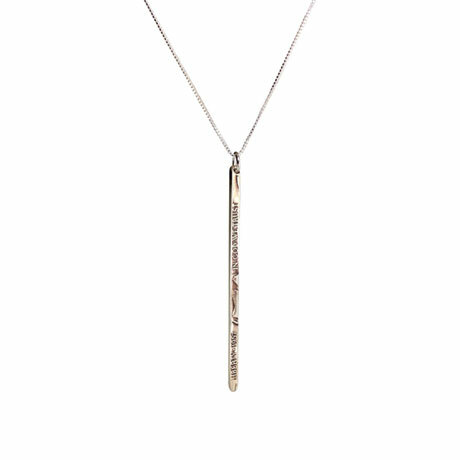 Our Matchstick Nickel Necklace features a genuine nickel that has been stretched to 2 ¼". Made from the outer edge of a nickel that has been cut, straightened and polished. Look closely and the words "Liberty (year) - In God we Trust" can been seen on one side and "America - E Pluribus Unum - United States" on the reverse. Hangs from a 24" sterling silver box chain. Hand made in USA.